September has finally come round and fall is inching closer. In the next few days, the rain will return to the Pacific NW and it will be welcome. It's been hot, smokey and extremely dry. 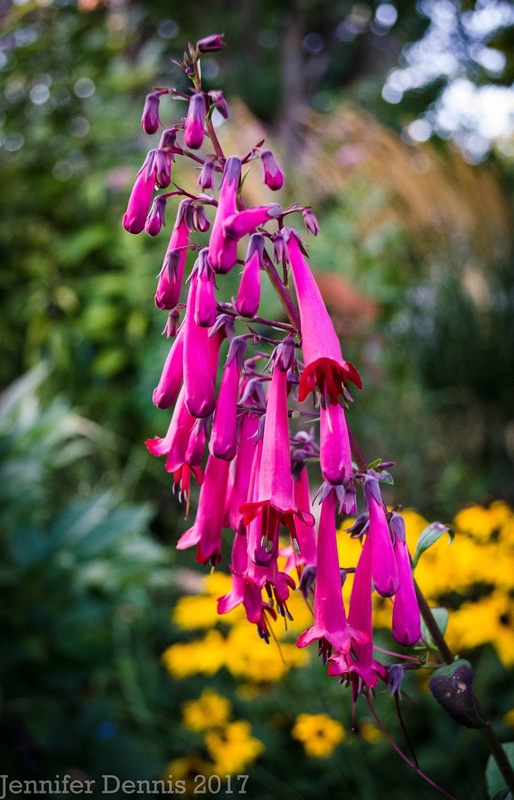 September blooms are full of charm....so this pretty is aptly name. Below is anenome 'Honorine Jobert'. It's putting on quite the show of blooms right now. 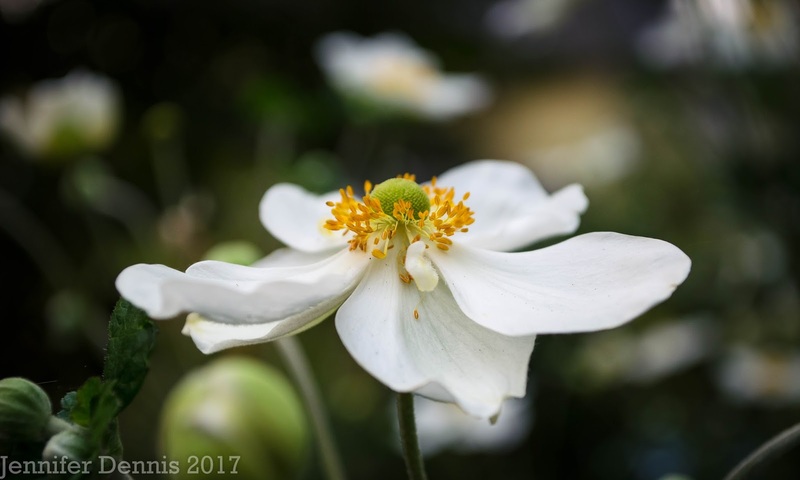 I love this anenome for it's height, lush foliage and profuse autumn blooms. 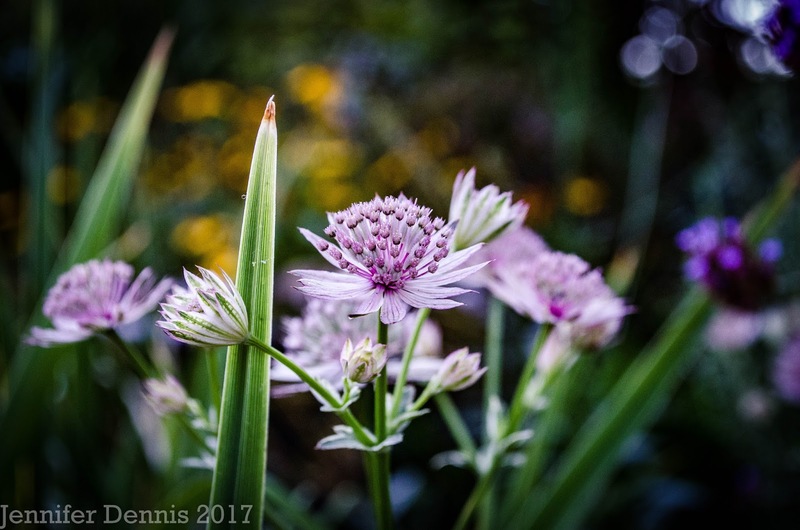 Astrantia 'Roma' is blooming again...such a pretty, silvery hue. 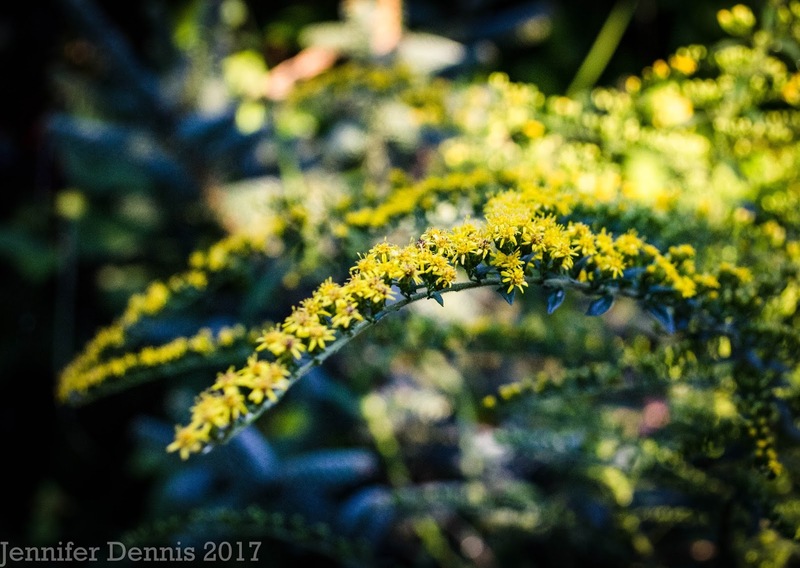 A most welcome color in the dry, dusty, end of summer. It's a wonderful perennial for spots with dappled light. It is about 24" high and stays fairly compact. I tried out a few new plants this year. They definitely bloomed later than I hoped, but when they finally did..wow! 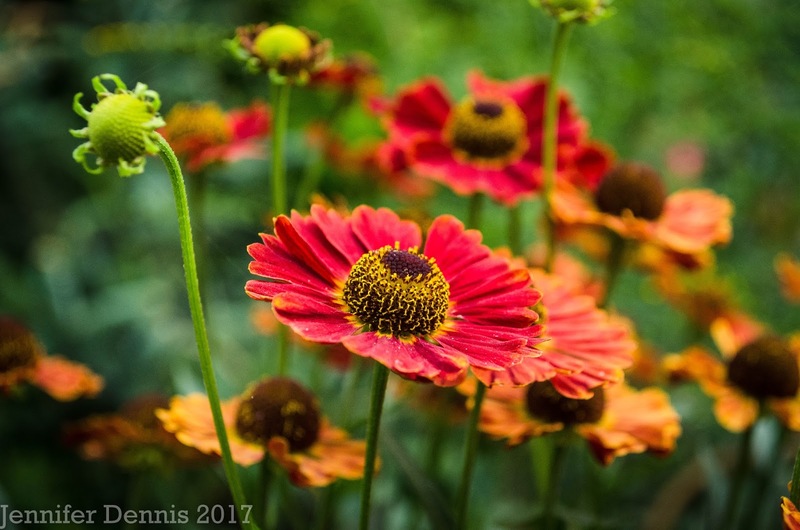 Helenium 'Mariachi Salsa' has blooms that range from orange to rusty-red an they fade into lighter hues. The helenium was paired with a new to me solidago 'Fireworks'. 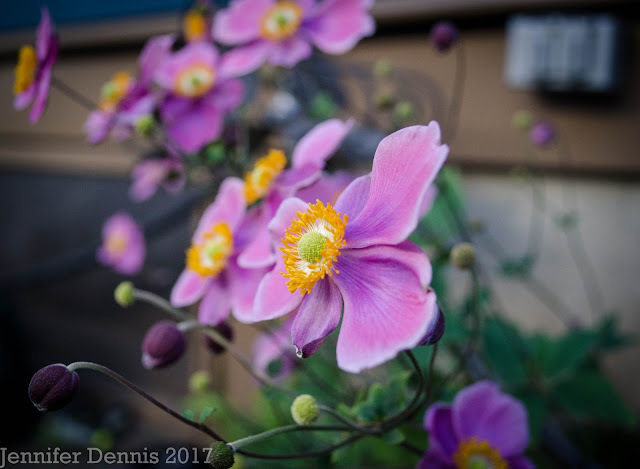 Whew..this one took it's sweet time blooming but it's been worth the wait and the bee's are enjoying fresh blooms in September. 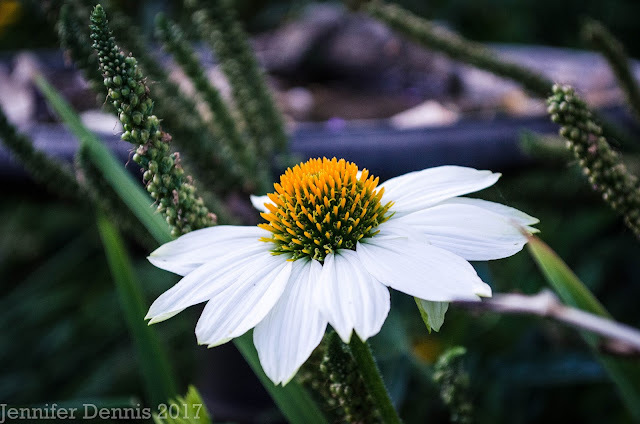 And the coneflowers are blooming!! I've acquired a few more for a new flower bed I'm building in the front of the house. I have great affection for echinacea of all colors. Finger's X'd that my new flower bed, with it's well draining soil, help this favorites of mine winter over to bloom again next year. Phyligus 'Funfare Wine' keeps pumping out the blooms from late spring to frost. I have had more hummingbirds visit my garden since I've added phyligus. It's a winner! Funfare wine is not as much as a thug as Devil's Tears...which is gorgeous but needs help not taking more than it's allotted space. 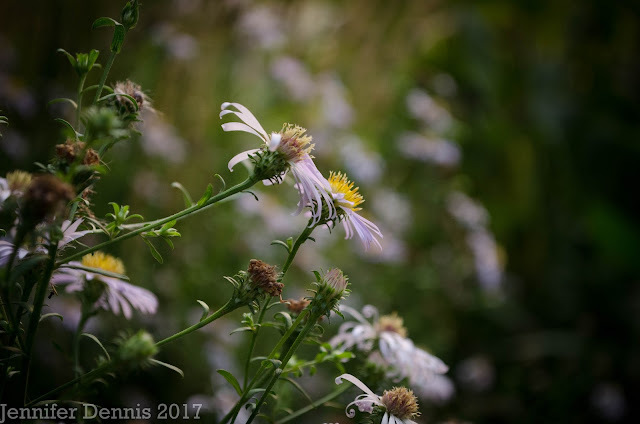 Native aster douglasii is blooming. A gift from a fellow garden blogger and it's spread nicely. I have more spots where I plan to use it in the future. It's nice to have a native plant to use as a fill in. And..who's this? Welcome Tillie the wonder pup to the RainyDay Garden! She's a puppy we rescued a few months back. 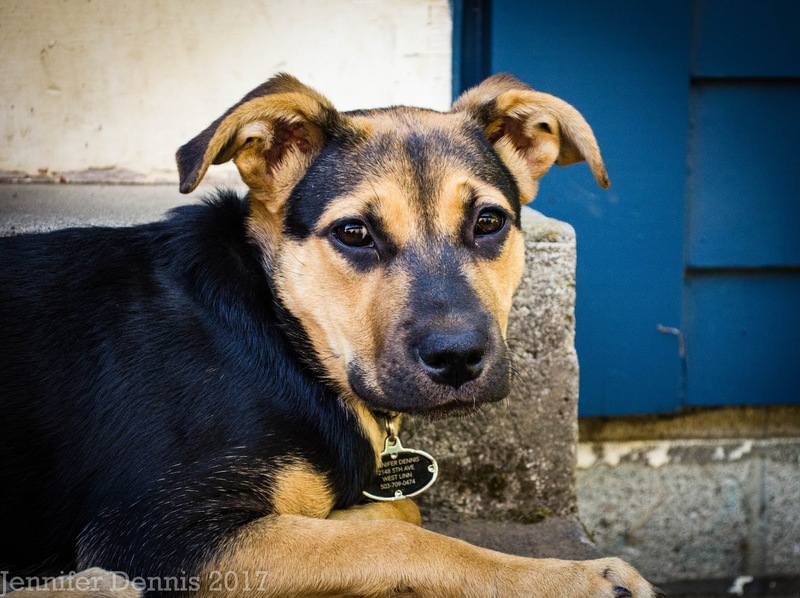 We think she's around 5 months now and she is a sweetheart! However, she has begun to trash my garden. Hm....what is it we always say..? 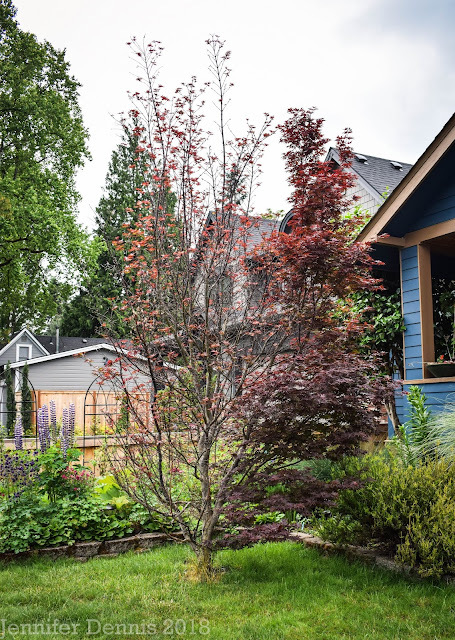 The garden constantly changes. Many thanks to Carol @ May Dreams Garden for hosting this fun, monthly meme. Happy Autumn. My favorite season! Beautiful blooms, and Tillie looks so sweet and innocent! Tillie is adorable and it sounds like she has her own ideas about gardening. 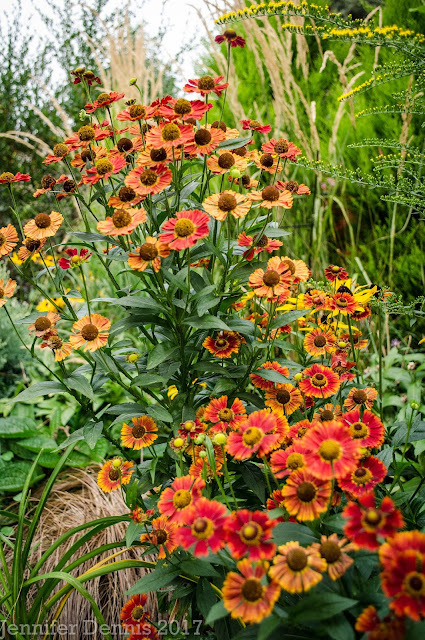 That helenium is gorgeous and must look stunning with the solidago ! Love the color of Phyligus 'Funfare Wine' Happy GBBD and happy autumn, Jenni! Very beautiful blooms. And that pup... I want one! Happy gardening and loving on that pup. Tillie is very sweet ! I met Bee today , and have the teeth marks to prove it ! And your blooms of course are beautiful ! Our heleniums seem to have disappeared. Your astrantias are flowering late aren't they. I love Tilly! She is the best flower in your garden. I too have a rescued pup, Scooter and he is always the star of my posts. Last week he sat down in a nest of ticks and brought them all in the house. Thanks for sharing on GBBD. 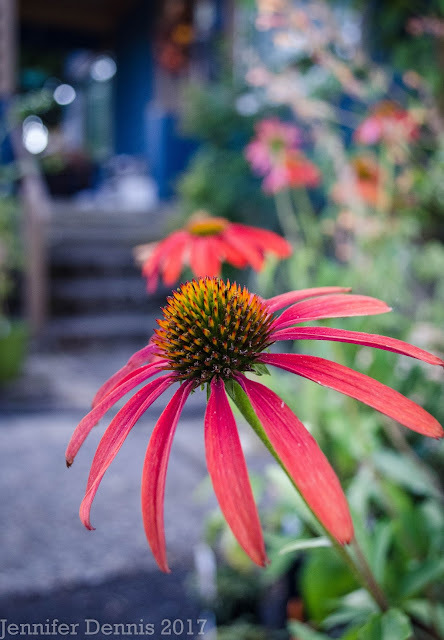 That first Echinacea is a stunner! Beautiful garden and nothing beats puppy love. Gorgeous photos and flowers and puppy too!